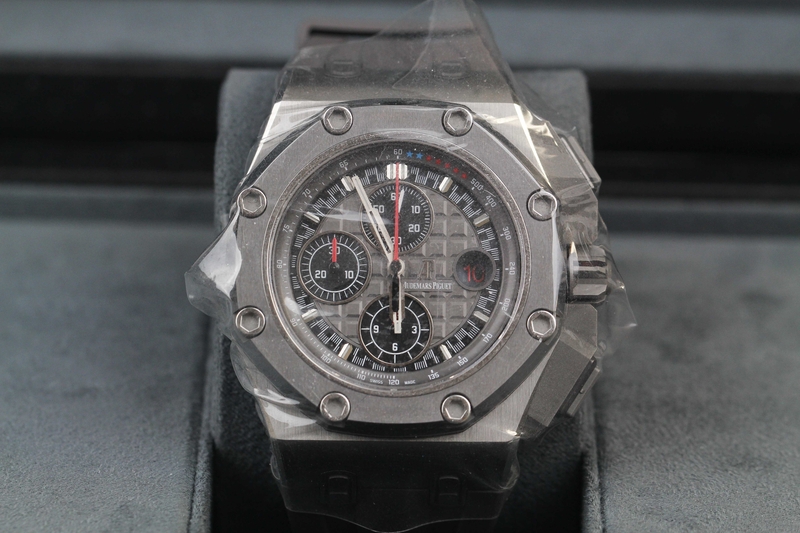 Watches of the Week - Audemars Piguet Royal Oak Offshore "Michael Schumacher"
When Patek Philippe brought out the 5960 in steel a couple of years ago there was quite a commotion caused by such a move. The watch already existed and sold very well in Platinum and it had a feeling of exclusivity until the Rose version came out. Even with the Rose Gold, the watch still looked and felt like the Luxury product that it is and offered a variation for thos who don't like the 'white metal' look. The big shock then came the year later when Patek announced the 5960 in Stainless Steel and furnished with a Stainless Steel bracelet and a crisp white dial. The takeoff wasn't as great as some predicted as most are used to Stainless Steel being kept for the Aquanaut or Nautilus models. With the precious metal versions being confined to the realms of 'ceased production' it would appear that the Steel Chrono was here to stay. The wait is now over for 2018 and Rolex have certainly delivered on some exciting pieces. Earlier in the month Rolex had released a teaser video of a Jubilee bracelet which appeared to have a Sports Clasp attached. With this new clue, the rumour mill went in to overdrive however the general consensus remained the same, that in some way we are due to see a new model GMT of some sort. This was the only teaser that Rolex offered for 2018 however it was not the only new release that was announced, other models and variants have followed but it will be with the GMT that our primary focus will be on. As far as standout pieces go, we think Patek Philippe have come up trumps with a White Gold Aquanaut to add to to the growing in popularity range. Blue seems to be the colour of the year for the Swiss company with the Aquanaut making a seriously bold statement in a year anticipated to be about the Nautilus. Perhaps one of the biggest shocks so far of Baselworld 2017 is the introduction of the Rolex Sky-Dweller in Stainless Steel and 18ct Gold and Stainless Steel with 18ct White Gold Bezel. 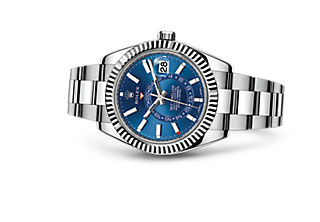 In a move that has taken a lot of people by suprise, Rolex have introduced a watch at a price point that is sure to be a huge success.